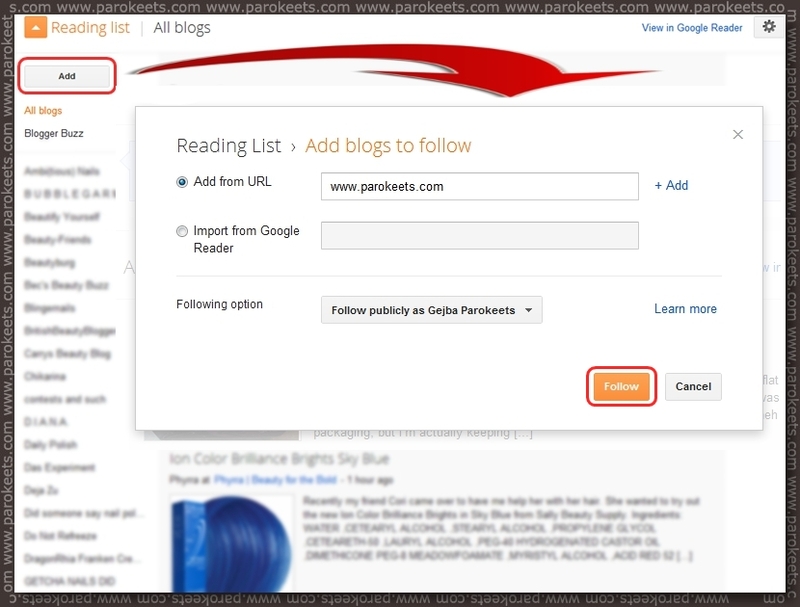 We don’t have GFC widget on Parokeets blog, but you can still add us to your GFC/Blogger reader manually. It’s not exactly one click and voila, but it is pretty fast to do nevertheless. click Follow button and you’re done. Pred leti si lahko dodal samo x blogov s Follow gumbom na strani in na zgornji način kolikor si hotel.